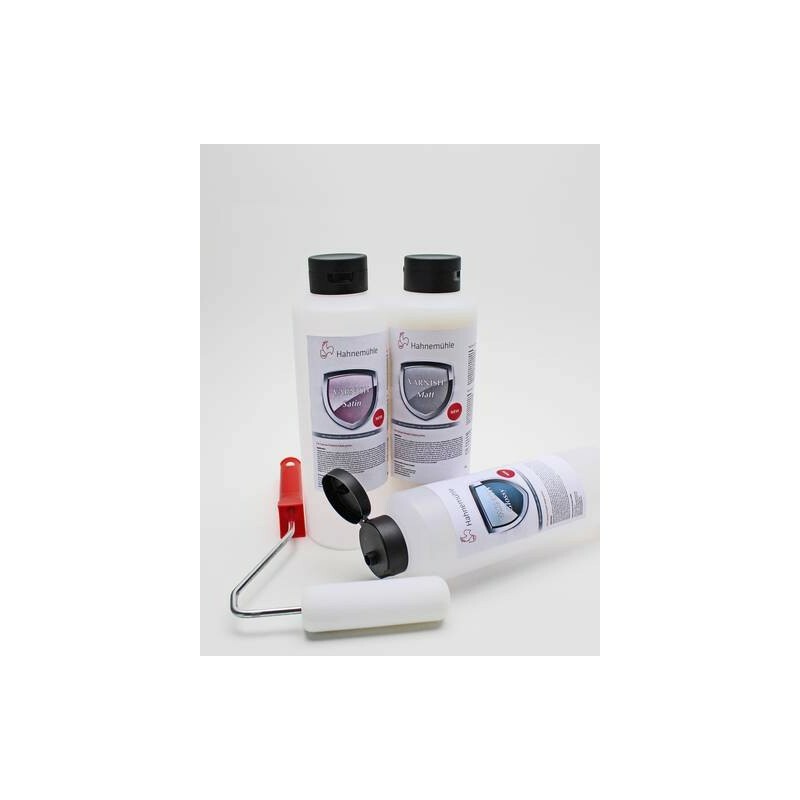 Hahnemühle Varnish will professionally add a protective finish to the surface of your canvas inkjet prints. This varnish was designed for Hahnemühle canvases to increase the lightfastness of prints and makes the surface water-resistant. 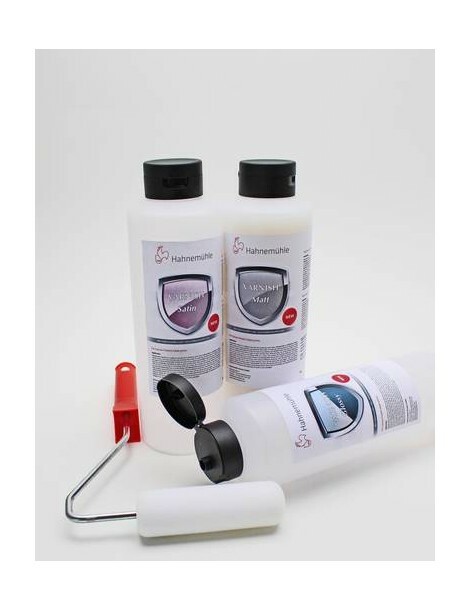 This fast drying varnish comes as a ready-to-use mixture and can easily be applied with a foam roller. Hahnemühle Varnish is water-based. It adds richness to the blacks and color gamut of pigment and ultrachrome inks. It also preserves your colors from fading. Additionally, the varnish will protect your canvases from cracking and guards against fungals caused by environments with high humidity. The varnish leaves nothing but a clear coating after application.